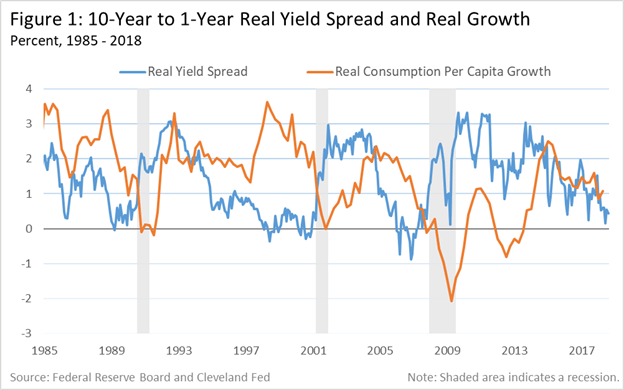 It’s well-known that in the United States, recessions are often preceded by an inversion of the yield curve. Is there any economic rationale for why this should be the case? Most yield curve analysis makes reference to nominal interest rates. Economic theory, however, stresses the relevance of real (inflation-adjusted) interest rates.